The latest in our series of PuddleDuck-ers Out and About comes from Roger Lamb. 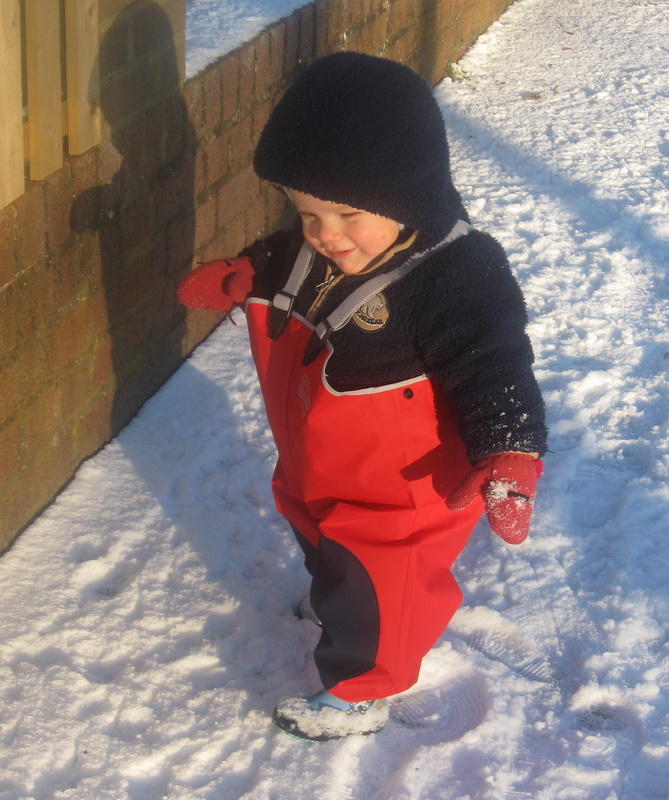 It shows his step-grandson William in the snow. Many thanks Roger for sending the photo. Looks like William is having fun. I’m sure there will be many more opportunities for him to wear his PuddleDucks gear in the snow and rain.